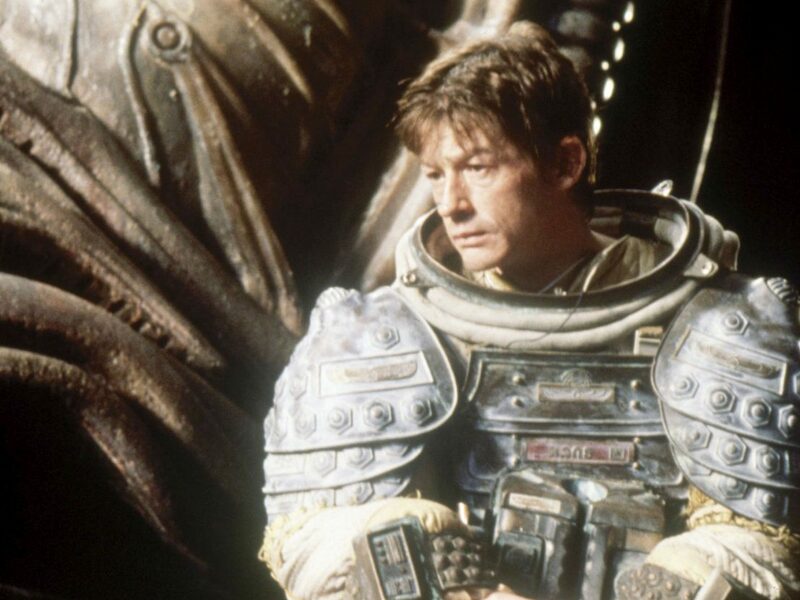 There is no other way to put this: John Hurt was one of the best we had. He has died at the age of 77, leaving behind him an acting CV that positively heaves with quality and diversity. He was one of those rare actors who was always as good – and very often much better – than the vehicle in which he was starring, for most of the time filling in vital, memorable supporting roles. He was supremely versatile, but at the same time regularly played a stylised version of himself: grizzled, avuncular, warm, extremely wise. 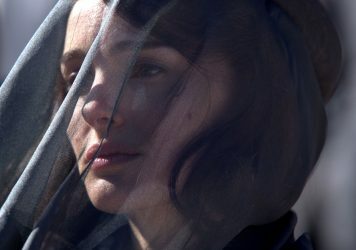 In one of his final roles, as a priest who offers solace to a Jackie Kennedy in the aftermath of her husband’s death in Pablo Larrain’s Jackie, he transforms what could’ve been a bland, sounding-board character into an integral portal of the film’s central philosophy. Like so often in his career, he brings a small but important arc to a character who has less than ten minutes of screen time. He looks old and even slightly fragile in the film, but his mind and his sense of compassion are working overtime. The pistons are still firing up top. 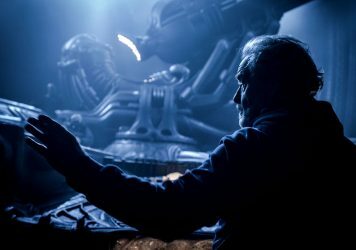 Yet he’s a performer who will likely be remembered for the moment in which he returns, apparently unharmed, from the ordeal of having an alien being clamped on his head, and then, well… you know what happens next. The explosively violent moment which follows remains iconic only because Hurt bring stores of empathy to the character of Kane – a friendly, thoughtful man who landed on the wrong planet and looked deep into the wrong space egg. When he sits back down in the mess hall and begins what appears to be the process of restoration, shovelling down food and smiling at his crew members, Hurt makes sure you know that something bad is up. If you want to pay homage to the great man, however, you must head back to David Lynch’s The Elephant Man in which he plays the softly-spoken “freak”, John Merrick, from underneath an ungodly mound of facial prosthetics. The very fact he can make us cry – time and time again – and we can barely see his face, or even his eyes, is testament to his mastery as a screen actor. He lost the 1981 Academy Award to Robert De Niro as Jake LaMotta in Raging Bull, but Hurt’s performance wins the long game for its subtlety and aching humanity. To namecheck all of Hurt’s great roles would leave us with little more than a long and winding list, and there are other resources for that. A shout-out, then, to his break out turn as the author Quentin Crisp in the TV movie, An Englishman in New York, and to his lead in the screen adaptation of George Orwell’s back-in-the-news dystopian page turner, 1984. He added a touch of old school class to blockbusters like the Harry Potter franchise, and to art movies such as Jim Jarmusch’s The Limits of Control and Only Lovers Left Alive. He was a good friend to low budget and indie directors. He clearly loved to work. However, another of his very finest performances – much like in The Elephant Man – was an occasion where we couldn’t actually see his face. His narration in Lars Von Trier’s 2003 film Dogville could and should be considered one of the greatest spoken word performances in the history of cinema. It’s a masterstroke of casting, for sure, as Hurt, in his sandpapery, sage-like drawl, intones a tale that resonates with all gentle power of a fable or a Bible story. He had one of the great, distinctive voices in cinema, the voice of a storyteller, someone you were drawn to, to whom you wanted to listen. He recently entered into a battle with pancreatic cancer, though announced at the end of 2015 that is was in remission. It’s a sad and shocking loss for film industry. To end on a personal note, I once interviewed Hurt for Bong Joon-ho’s very great film, Snowpiercer, which sadly has yet to make its way to screens in the UK. The thing is, I wasn’t meant to be interviewing him. I was sat in a waiting room, in the South Koran embassy in Berlin, and he came and sat down next to me and started to chat. As those who have braved the junket circuit will know, this sort of thing doesn’t really happen that often, if at all. Then, as we were talking about the film, I asked if I could record it, and he said fine, fine. And as the tape started rolling, he proceeded to mischievously criticise the performance of one of his big co-stars in the film. Absolutely not in a nasty or bitchy way, he was more considered and thoughtful. It was a critique. He was so into the film, its core ideas and the notion that it’s the actors whose work matters in the end, that he was open about his belief that you absolutely have to be as good as the people with whom you share the screen. He knew he was being cheeky, as he was laughing and looking over the top of his tiny spectacles, as if to say, don’t tell him what I’ve said, wink, wink. He was called off for another interview and we parted ways. He shook my hand, smiled, and patted me on the arm like I was a nephew. It’s sad that it can never happen again.